House lawmakers have approved a bill that directs the Office of Management and Budget to provide a modern, standardized reporting system that can translate outdated documents into open data for grant-making agencies and the public. 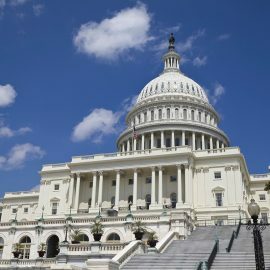 The Grant Reporting Efficiency and Agreements Transparency Act will help promote transparency in taxpayer spending processes, as well as guide Congress in reviewing grants awarded by the Executive branch, the office of Rep. Virginia Foxx, R-N.C., said Thursday. Foxx said there is a need for the federal government to implement new, uniform data standards for federal grant reporting to keep pace with technological advances that make the U.S. digital society more efficient. She added that the GREAT Act will help decrease compliance costs for grant recipients and increase public scrutiny of grant spending. Foxx co-sponsored the bill with Rep. Jimmy Gomez, D-Los Angeles.